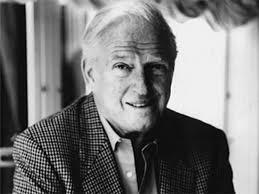 A TOAST TO CREATIVITY: SIDNEY SHELDON: Larger-than-life! 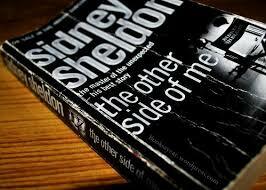 It was a thrill to read this book, considering Sheldon s novels have been a favourite of mine for decades. What a brilliant, fecund writer! As we learn from this work in the first part of his life he brought entertainment to countless people by being the man behind some great movies, and television series'. He grew up in relative poverty, the fact eg that his family would remorselessly squeeze out any vestiges of toothpaste from the tube resonates with an African like myself. He loved the world of reading and writing from an early age. His breakthrough was fortuitous and a close-run thing, as a lady helped him to type a sort of summary, resume of a book. In this work we are frequently reminded of Sheldon the master of the unexpected in his narratives, it often looks like fiction, but it is not, it is the story of his life. In the early days he does all he can to put together impressive screenplays, and makes a name for himself despite vicissitudes. Mr Sheldon unambiguously has what is referred to as "ubuntu" in southern Africa ie he's a humane, good man in essence. Here we read about the bad times when he could not even pay his black "domestic" who helps with the baby at home. He had no choice, she had to go. Yet she refuses, despite the fact her employers cannot pay her! She prefers to stay on. Incredibly, when she hears Mr Sheldon and wife quarrelling about not being able to afford to go out one day, she hands some money over to them to go out, despite being unpaid! 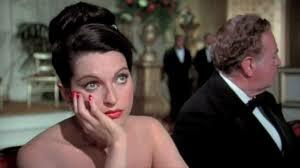 No doubt she loved her employers very much. Later on in this work, quite abruptly, we read about the author becoming a novelist and ultimately a world famous, best selling one. But it was not so easy for him in the beginning- we laugh as we read about a sort of promotions/launch of his first novel as apparently nobody is interested in the book, and avoid his section...until a lady takes pity on him and chances to buy a copy. "It was an act of mercy".. In our modern times, snippets from all Sheldon creations can be appreciated anytime. I for one even now regularly check on youtube Sheldon drama with its supplementary, superb music or sound effects - of my favourite Sheldon movies like If tomorrow comes, Master of the game, and The other side of midnight. Sheldon has brought fizz and excitement to millions around the world and we must always celebrate him! A great, great man. A fantastic piece, Mr Bolaji! What a superb concise tribute to Sidney Sheldon by an African! Excellent! This warms the cockles of the heart - or whatever the expression is!